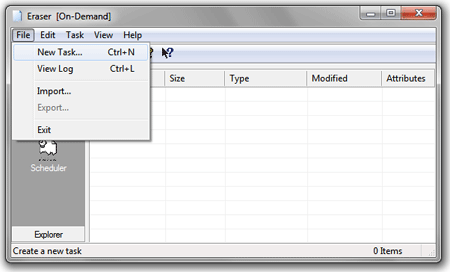 In this simple solution, I cover one method to Erase Empty Space on a Hard Drive. By default when you send items to the Recycle Bin, Delete Email, Clear Browsing History, Etc, the information that occupied that space on your Hard Drive can still be recovered until that space is overwritten several times with new data. 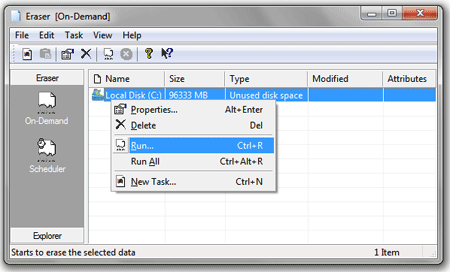 You can easily prevent deleted data from being recovered by using a tool such as Eraser to Wipe the Empty Space on your Hard Drive and make the deleted data unrecoverable. Eraser does this by overwriting this empty space several times using various techniques. 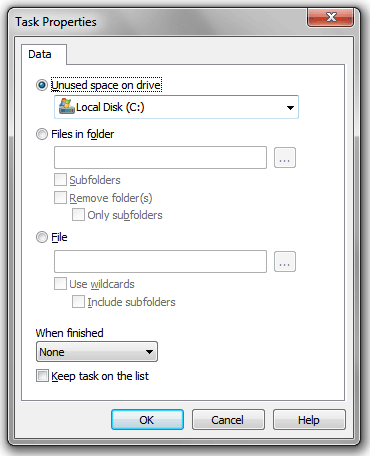 Select to “Erase Unused Space on drive“, Make sure the correct drive is selected, and Click OK to proceed. Once Eraser has finished, the empty space on your select Drive should be irrecoverable.